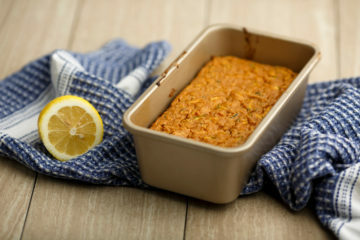 This lemon zucchini bread is sweet enough to serve for dessert, but has ingredients you can feel good about. Almond flour, coconut sugar, honey and Greek yogurt make for a lightened-up version of a summer favorite. The rolled oats in this bread give it a perfect, chewy texture, while the honey makes it taste slightly sweet. 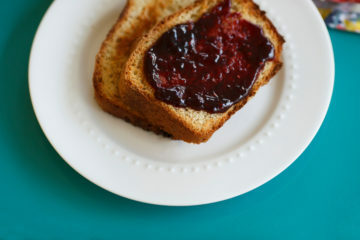 The result is a tasty and versatile loaf that’s the perfect base for toast and sandwiches.